Is this new round of DLC worth the cost? Recently, Super Smash Brothers for Wii U and 3DS was updated with three new stages, a few new Mii costumes, and character balancing. While the balancing and one of the new stages are free, two new stages and the Mii costumes are all paid DLC that can be acquired from the Nintendo eShop. As such, are two new stages and some Mii costumes really worth your money? Starting off with the character balancing, there isn’t much to say. The balancing was, at its core, minimal. It’s unlikely you will notice a change in your main character unless you really look for it. As someone who doesn’t play smash as if it’s my religion, and who doesn’t get mad on the internet after my main gets nerfed, I don’t have much to say here. If you are a competitive smasher, this might mean a little bit to you, but if not, it’s really not something to get mad over. 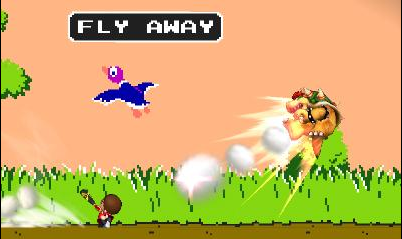 Of the two new stages in the update, one of them is free, but it’s an existing stage already on the Wii U version of the game, Duck Hunt. This is now a stage free for you to get as soon as you turn on Super Smash Brothers for Nintendo 3DS. And just like the balancing, I don’t have much to say. 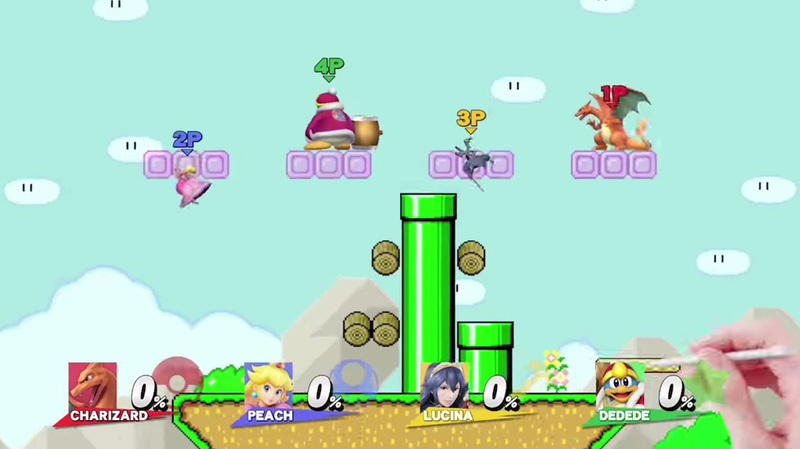 It’s a flat stage with some platforms and a background where you can kind of play Duck Hunt. Outside of that, don’t expect a revelation. It’s probably one of the most simplistic stage that isn’t omega. Now on to the paid things. 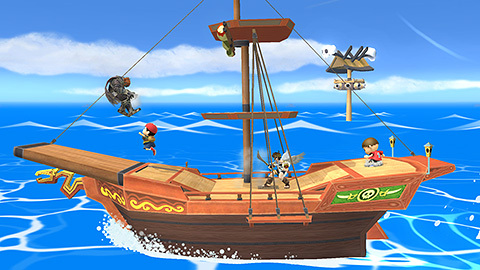 For the Wii U version only, you can download the Pirate Ship stage, returning from Brawl. This stage is based on The Legend of Zelda: The Wind Waker Personally, I found this stage to be a joy. At any point, you could be accidentally catapulted by the catapults on the ship, or hit with a bomb from a watchtower far away. This makes this quite the entertaining stage. Not to mention the amazing music coupled with it. Even the omega form of the stage is probably one of my favorites. The one stage available for both Wii U and 3DS is the Super Mario Maker stage. It’s a bit hard to talk about this stage, because what you’ll play is not what I played. You see, each time you play the stage (assuming it’s not the omega form) the overall layout changes. One time you could be playing with a huge pool of lava to avoid, and another where you need to stay on one of three platforms. This is a great stage and I would highly recommend it, but it’s a shame that you may find a layout you absolutely adore and will never be able to play again. 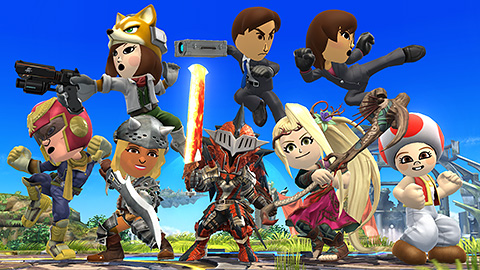 The Mii fighter costumes are… alright, I suppose. If you play For Glory a lot, I would NOT recommend this to you, mainly because you can’t use these little guys online. That’s my biggest problem with the fighters and costumes as a whole; they aren’t considered “real fighters” just because you can’t use them online. Unless Viridi or Toad is your favorite character ever and you want to model a Mii after them, I can’t recommend them to you, especially at an asking price of $0.75 for just one costume on one system. Overall, the Super Smash Brothers Update 1.1.1 is alright. While the stages are fun and the Mii Fighters look appealing, the hardly recognizable balancing and the awkward asking price of $14 for everything you need to pay for, it’s not the most noteworthy thing in the world. Overall, I liked the update. Is it worth the price? : No. I would recommend it to: Casual smash fans, anyone who REALLY likes Mii Fighters, or anybody who doesn’t know what to do with $14. A nerd who spends all his time watching television, playing games, and writing whatever. And who would have it any other way?